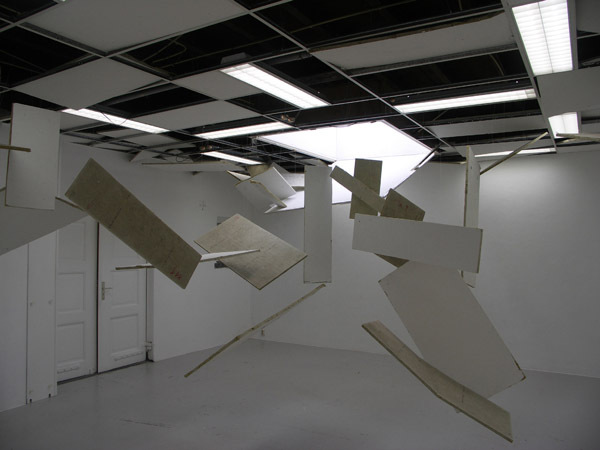 Dutch artist Remon de Jong created this collapsing ceiling art installation titled Tremor Laquearia. Fixing time in the way a photograph does, the installation takes the familiar and turns it upside down.The chaos completely changes the perspective of the gallery space. 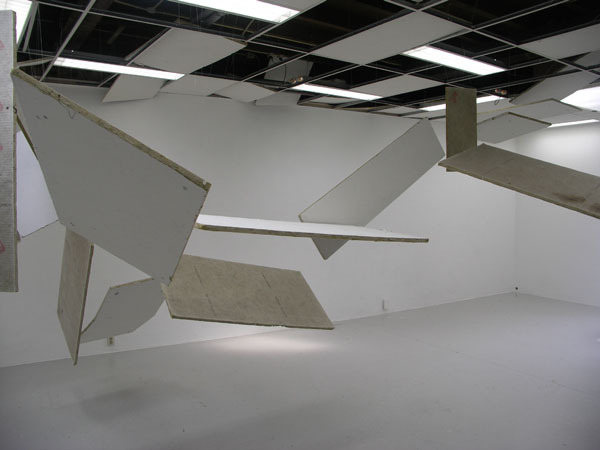 De Jong, who makes paintings, music, sculpture, and videos in addition to his installation work, often references the theme of man and his relationship with the environment. Below you can see the creation of the installation in progress.